Each of your paychecks has a deduction from your hard earned pay going to Social Security. Every month, your employer sends in an amount that matches what was deducted from your pay. Many people believe that this is money the employer pays for you, but in effect you are paying that portion, too. It is a cost to the employer of having you work there, and therefore is tantamount to money you earn, but don’t receive. Every dollar earned up to $90,000 is subject to the Social Security tax. Some deal, huh? Worse, though, is this fact: There are only three workers paying into Social Security for every individual collecting Social Security benefits. As that number continues to dwindle, in just 15 years there won’t be enough money going into Social Security to cover the payments going out. Some people think this is a problem. Others don’t. One of those is Senate Minority Leader Harry Reid (D-Nevada), who warned President Bush to “forget about privatizing Social Security. It will not happen. And the sooner he comes to that realization the better off we are." Senator Reid’s comment is demagoguery. Using the term “privatizing” is such a wild exaggeration that it is an out and out untruth. That term indicates turning the entire program into a private investment program, and Harry Reid knows very well that isn’t what President Bush has suggested. He also knows that the best way to defeat this proposal is to scare people, even if that means fibbing a little. Another is New York Sen. Charles Schumer (D), who followed up with, "We will not allow the President to play retirement roulette and turn Social Security into social insecurity." That’s cute, Senator, but it’s disingenuous. It is more demagoguery from the Democrats, in an attempt to scare people. What the President has suggested is something similar to the federal Thrift Savings Plan (TSP), created by an act of Congress in 1986, essentially a 401(k) program for employees of the federal government. Workers have the option to place pre-tax dollars into the TSP account, which they own and can invest in one of five low-cost, low-risk funds, from government securities to stock-index funds. While the final details of President Bush's proposal are not yet known, he suggested in his State of the Union address that younger workers would be given the option to invest up to 4 percent of their payroll taxes in a personal retirement account like the Thrift Savings Program. These accounts would offer workers a choice of a few low-risk, low-cost investments like stock index funds or a blend of government bonds. The money that accrues in this account would be the property of the individual, which could be drawn upon at retirement. 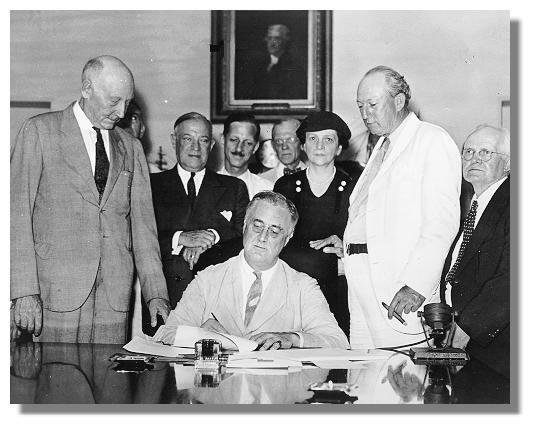 And, each worker would still receive a defined benefit from the traditional Social Security program. 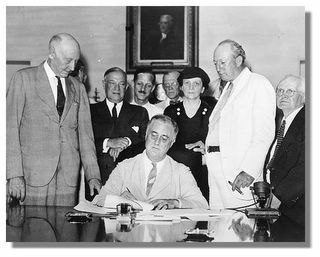 But the creation of a personal retirement account would give each American the opportunity to do more than just ward off poverty -- they would be able to accrue a nest egg which could also be passed on to their heirs. As of now, the three million participating federal employees have amassed about $100 billion in their Thrift Savings accounts. It's a safe bet that hundreds of Democratic congressmen, likely including both Senator Reid and Senator Schumer, and their staffers are taking advantage of the federal government's generous individual retirement account program. If these individual retirement accounts are good enough for members of Congress and federal employees, why aren't they good enough for the rest of us? Why do you suppose that Senators Reid and Schumer don’t want us regular folks to have this wonderful opportunity? President Bush's proposal for individual retirement accounts would give every young worker in America the opportunity to have what federal employees have had available for nearly 20 years. It’s a good idea, and now is the time to get started.